AGE: 16YEARS This is EDMUND AHWETOR and His ambition is to become lawyer when he grows up. Your donation of $50 or more will help further his dream. Sponsor a beautiful dream today. Edmund Ahwetor hails from Asante Bekwai in the Ashanti Region of Ghana. He was born on 16th August 2000 .He lives with his widowed mother and 2 siblings at Cp Ablekuma. His father died in 2014 and his mother is Unemployed, making life very difficult for him and his siblings. He sometimes has to sell on the streets to be able to make some little money for school. 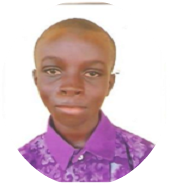 Edmund is a student at Joyslina School complex and he is in class one, his favorite subjects are English and mathematics and he loves to read whenever he is free. Your sponsorship or Donation will help keep Edmund off the street to focus on his Education. Sponsor Now..